An impression from a visit to Islay’s neighbour Colonsay. 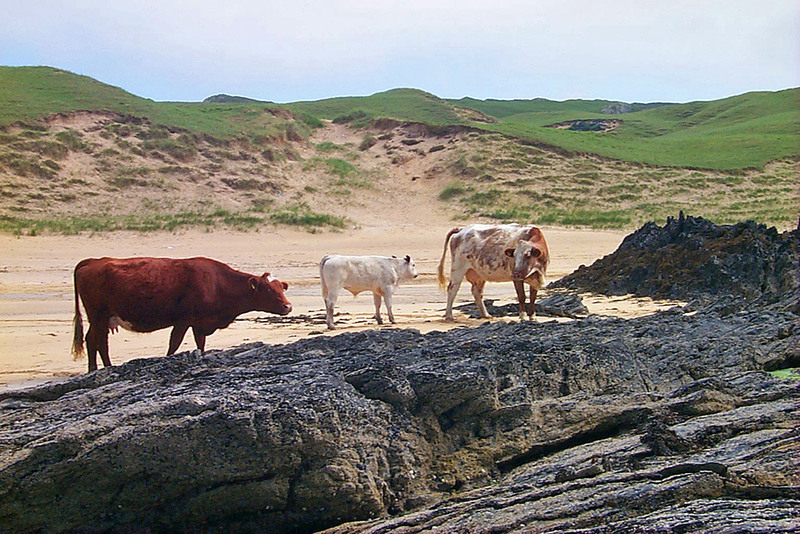 A few cows had come down on to the beach in Kiloran Bay. This entry was posted in Beaches, Cloudy Weather, Colonsay Excursion, Landscape, New Post, Sunny Weather and tagged cattle, Islay, Kiloran Bay by Armin Grewe. Bookmark the permalink. @islayblog only saw Colonsay from the ferry but definitely want to go back for a proper visit. @BeverlyRayG well worth it, especially Kiloran Bay and the Strand to Oronsay. Follow @visitcolonsay for more.